The BMW rider was on top, with the front five covered by 0.031s in a thrilling FP2 session! Day one at the Motul Dutch Round for the MOTUL FIM Superbike World Championship is complete for the WorldSBK class, at a freezing cold and windy Assen. In a stunningly close session that saw the top five riders covered by just 0.031s, Tom Sykes (BMW Motorrad WorldSBK Team), taking the BMW to finish the opening day at the TT Circuit Assen on top! 2013 World Superbike champion Tom Sykes was once again a prominent front-running rider in FP2, as he concluded Friday on top! The all-new BMW S1000RR continued to show positive signs with progress being made in the aerodynamics at MotorLand Aragon, making for an exciting prospect to see the German manufacturer back at the sharp end. Markus Reiterberger (BMW Motorrad WorldSBK Team) was one of the revelations on Friday, lapping multiple consistent times and eventually placing fourth overall. Reiterberger looking to improve on a best Superpole result of sixth, achieved in Sepang 2016. Having led the session in FP1, Kawasaki’s were on form at the famed Dutch venue. 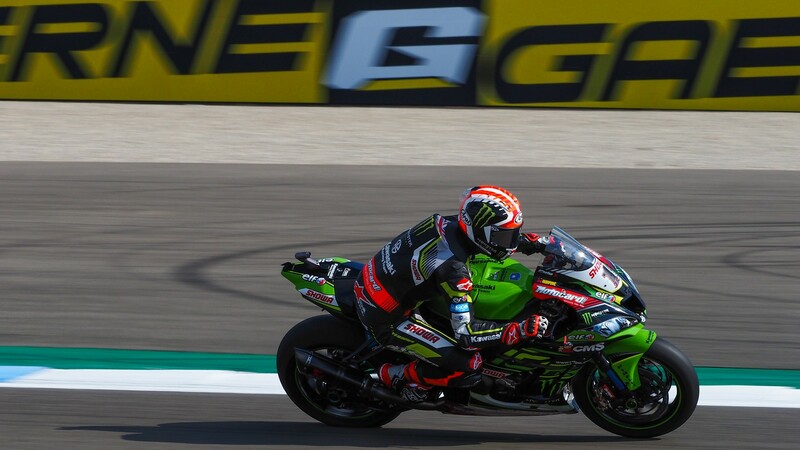 It was the reigning four-time WorldSBK Champion Jonathan Rea (Kawasaki Racing Team WorldSBK) who consolidated a positive opening day with a second place as Friday concluded. The Ulsterman setting multiple fast times and eventually toppling his teammate. 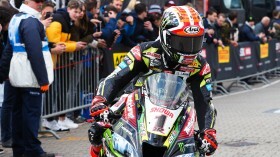 Rea will be hoping to continue his search for his first race win of the season. 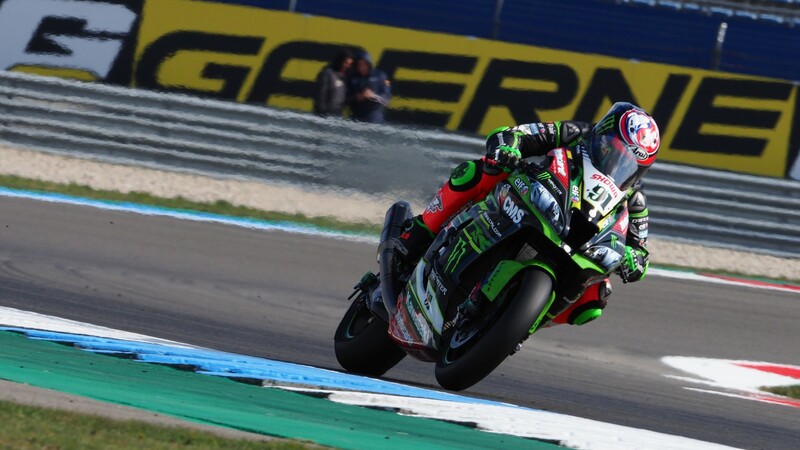 Leon Haslam (Kawasaki Racing Team WorldSBK), returned to the TT Circuit Assen in The Netherlands with a fine third place. The ‘Pocket Rocket’ will be hoping to return to the podium for the first time since Australia. 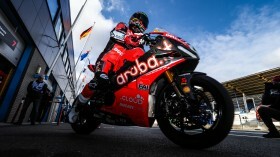 It wasn’t an all-conquering opening day for ARUBA.IT Racing – Ducati team, who struggled throughout the session. Alvaro Bautista languished for the majority of FP2, in the pits with his crew hard at work, implementing the settings needed to challenge at the front. The championship leader finished the session in sixth, with a flurry of fast laps towards the end of FP2. Chaz Davies had a small crash at Turn 5, soon remounting but returning to the pits. The Welshman, who is looking to continue his search for a third podium of the season, finished the session in ninth position, ahead of his teammate for most of the session. In what was one of the closest sessions in recent WorldSBK memory, home-hero Michael van der Mark (Pata Yamaha WorldSBK Team) completed the session in fifth position, just 0.031s behind session leader Tom Sykes. The Dutchman was looking to put on a good show in front of a loyal home crowd and goes into Saturday full of confidence. Teammate Alex Lowes suffered another crash in FP2 and finished his first day at Assen in tenth. Two Independent team riders once again squeezed into the top ten, with Toprak Razgatlioglu (Turkish Puccetti Racing) in seventh, just 0.140s from the leading time by Sykes. One position behind the Turkish rider, Sandro Cortese (GRT Yamaha WorldSBK) was one of the biggest improvers and finished in eighth, as second Yamaha rider too. In what was a phenomenally tight session, the leading 12 riders were covered by just 0.821s, with four Independent riders inside that gap. 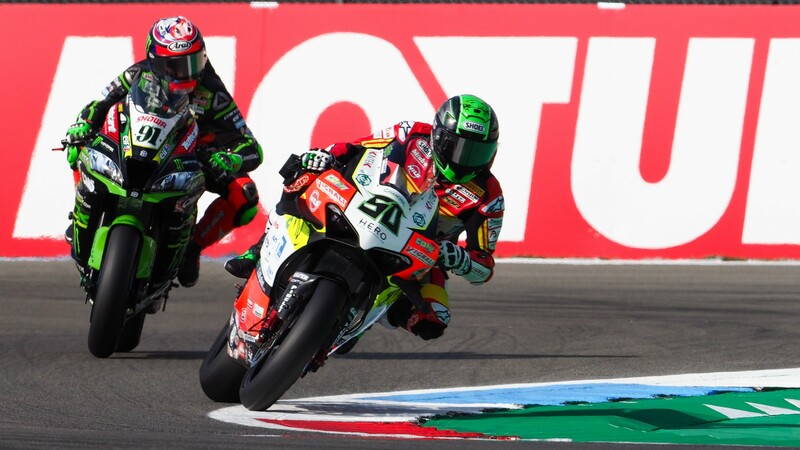 Tom Sykes is also the first rider to top a Free Practice session that has not been Bautista or Rea, making Assen look like it could host a thrilling, action-packed battle with various manufacturers and riders. Watch all the WorldSBK action from the Motul Dutch Round with the WorldSBK VideoPass! For full results of FP2, click here!